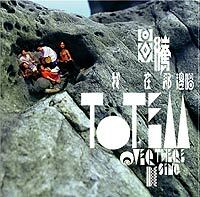 Totem is a band of young Taiwanese Aborigines. After winning the Ocean Award at the sixth Gong Liao Ocean Music Festival, they came out with their first album this April, named "Over There I Sing". It opens with a flute solo performance, like a call from the forests. Then comes "Confusion", which has a Jay Chou-style rap infusion. Funnily enough, the album contains a song "I am not Jay Chou"; its amusing lyrics come to life with their aboriginal accents. The music mixes pop, folk, rock and reggae and many songs are performed in Ami and Paiwan, fully reflecting their uniqueness. Even more interesting, the CD comes with the lyrics translated into English. Truthful lyrics, passionate attitude, beautiful rhythms and rich arrangements give the sense that Totem is really happy to sing.